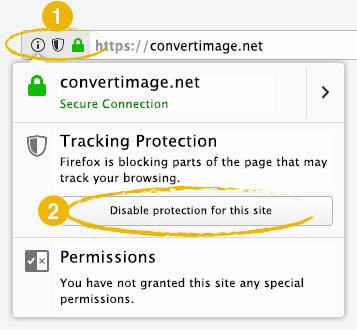 Compressing an image online consists in reducing its weight to save space over your website server, to forward your optimized pictures easily by e-mail, or to optimize your website loading speed. Our online JPEG Compression tool allows you to get lighter JPG pictures, by slightly lowering the quality of your initial photo. Our image compressor knows how to reduce the weight of your photo online and create an optimized and lightweight picture, which will load much faster over the internet network. This online tool is entirely free and does not require any photo processing or compression software. We keep the ICC profile of your initial image so the colors are maintained and preserved. ConvertImage uses an exclusive technology allowing you to obtain lighter images than others website offering compression tools! Just have a try now ! 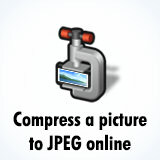 Your image will be compressed to JPG format to reduce its weight. Its size will not be changed. You will choose the quality of your image in the next step, just after sending your file. 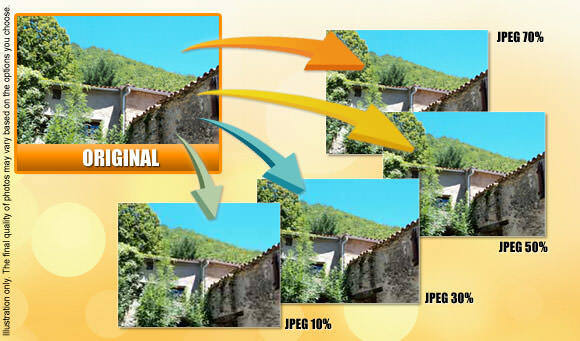 Compress all your photos in JPG thanks to ConvertImage ! ... and quickly optimize them online as light JPEG files!